The following books offer diverse perspectives on the role that technological gadgets and the internet play in our lives. Whether you read them on your e-reader or in printed form, they’re worth a look. 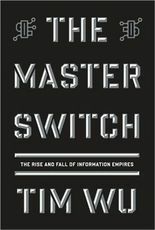 For a meticulous overview of the history of communication technology, there is Tim Wu’s “The Master Switch: The Rise and Fall of Information Empires” (Alfred A. Knopf, 336 pp., $27.95). Wu traces the cycle of each technological advancement from innovation to industry to giant, stagnating corporation. Though his analysis gets repetitive, his clear prose is so packed with historical detail that it stays interesting. “The Offensive Internet: Speech, Privacy and Reputation,” edited by Saul Levmore and Martha C. Nussbaum (Harvard University Press, 304 pp., $27.95), collects academic essays about the legal and social issues raised by internet culture. The dense prose can be daunting, but opens necessary discussions about ethics in the digital age. In “World Wide Mind: The Coming Integration of Humanity, Machines and the Internet” (Free Press, 256 pp., $26), science journalist Michael Chorost poses persuasive hypothetical situations demonstrating how existing and emerging technology could be used to come close to human telepathy — a concept that becomes even more intriguing considering his own experience growing up deaf, then adapting to cochlear implants. 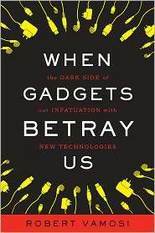 Accessing the information our gadgets can provide is not as private as we think, as Robert Vamosi makes clear in his sobering, sometimes frightening book, “When Gadgets Betray Us: The Dark Side of Our Infatuation With New Technologies” (Basic Books, 222 pp., $26.99). From car locks to hospital records, he examines the security weaknesses created by our demand for faster, sleeker technology. Of course, some people build businesses on the accessibility of secrets. Even though he has done jail time for his cyber crimes and credit card hacking, it’s hard not to like Max “Max Vision” Butler, the focal point of Kevin Poulsen’s “Kingpin: How One Hacker Took Over the Billion-Dollar Cybercrime Underground” (Crown Publishers, 263 pp., $25). The capers of this misfit genius, and the FBI’s attempts to infiltrate credit card hacking rings, combine to make this a fast, fun read. Julian Assange, WikiLeaks founder and central figure of “Inside WikiLeaks: My Time with Julian Assange at the World’s Most Dangerous Website” (Crown, 285 pp., $23), by former WikiLeaks spokesman Daniel Domscheit-Berg, is mercurial and abrasively repugnant. Domscheit-Berg clearly believed in WikiLeaks’ mission; despite Assange’s slovenliness, explosive temper and secretive behavior, the author’s account borders on hero worship. Two recent books take a closer look at Google as a company. 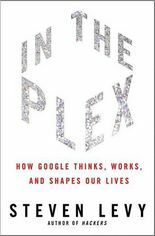 Steven Levy’s “In the Plex: How Google Thinks, Works and Shapes Our Lives” (Simon & Schuster, 432 pp., $26) is a solid view of Google, written by a journalist who has covered the company for more than a decade. It does a thorough, if sometimes dry, job of tracing Google’s evolution as a business. For a more intimate, chattier view of Google’s rise, read “I’m Feeling Lucky: The Confessions of Google Employee Number 59” (Houghton Mifflin Harcourt, 320 pp., $27), by former Google marketing director Doug Edwards. Joining the start-up culture of Google, Edwards has to toss aside everything he knows about traditional marketing. His sometimes bemused account of server upgrades, keyword searches and gourmet lunches brings Google’s culture to life beautifully. Clearly written and comprehensive, Bill Kovach and Tom Rosensteil’s “Blur: How to Know What’s True in the Age of Information Overload” (Bloomsbury, 240 pp., $26) is an excellent guide to critical thinking and news literacy — and useful to have nearby when considering all these perspectives on technology. Elizabeth Willse is a freelance reviewer from Manhattan.